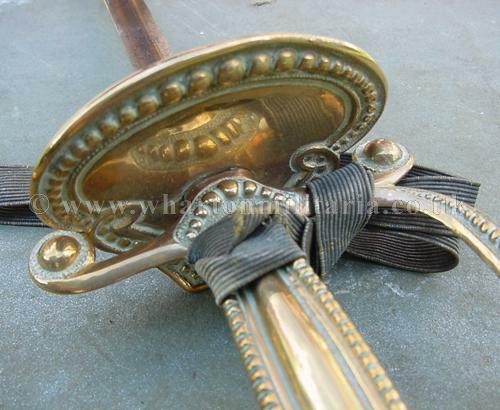 A fine English gilt hilted court sword with scabbard and knot. 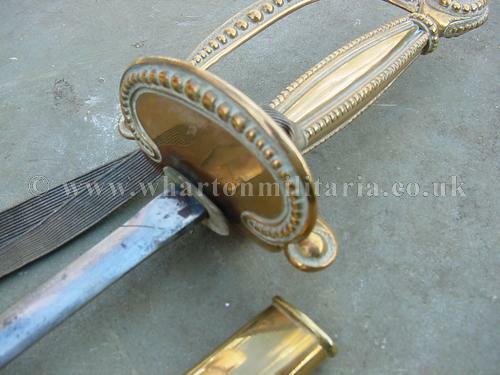 This example has a gilt brass hilt with beaded decoration, likewise on the knucklebow and shell guard, the blade is 31 1/2 inches in length. 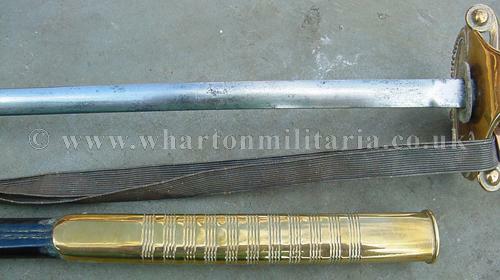 Blade has feint signs of etched design plus some minor staining and an odd pit to the surface. 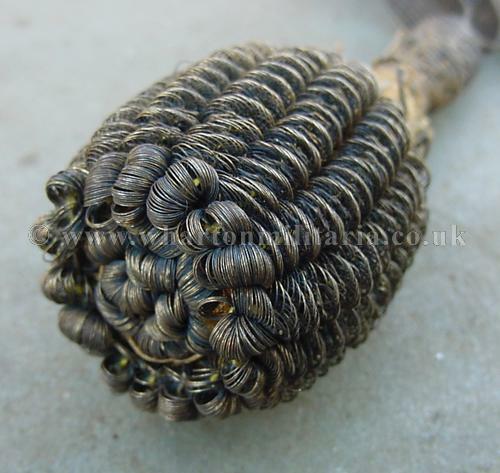 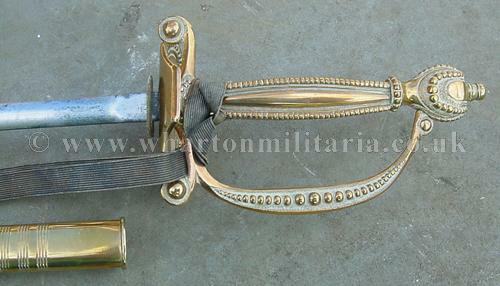 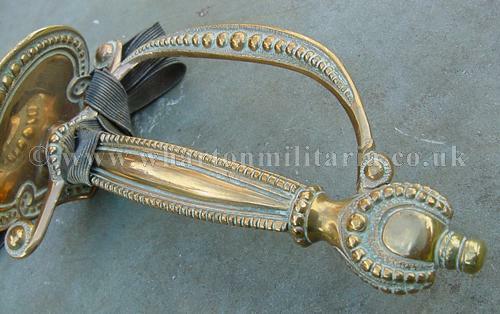 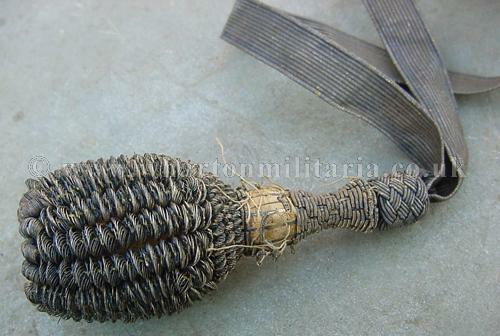 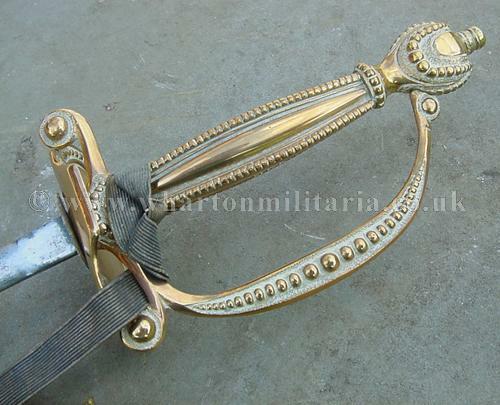 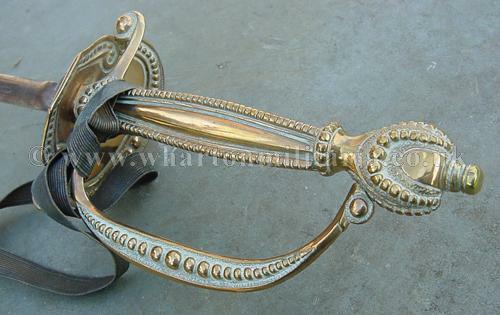 Complete with its gilt mounted leather scabbard and gold bullion sword knot. 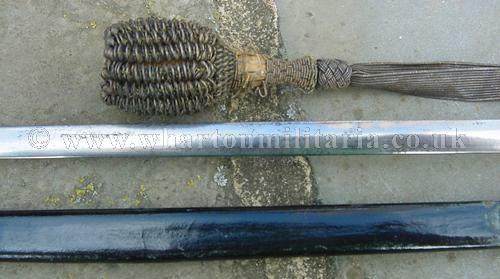 An excellent example of a court sword in very good condition.